(WGN) In the midst of the holidays, a suburban family is a warning about a present you might want to remove from your gift list. Bucky Balls, as they are commonly known, are very strong magnetic balls. They’re small as a pea and come hundreds to a box. They were banned in 2012 because children were ingesting them and dying. The company sued and they were put back on the market in 2016. There’s a warning on the website and on the packaging. But 11-year-old Halina wishes they weren’t. A friend of the 6th grader brought them to school Thursday. Halina asked to play with them. An Illinois family is issuing a warning to other parents after their 11-year-old daughter was hospitalized after accidentally swallowing Buckyballs. 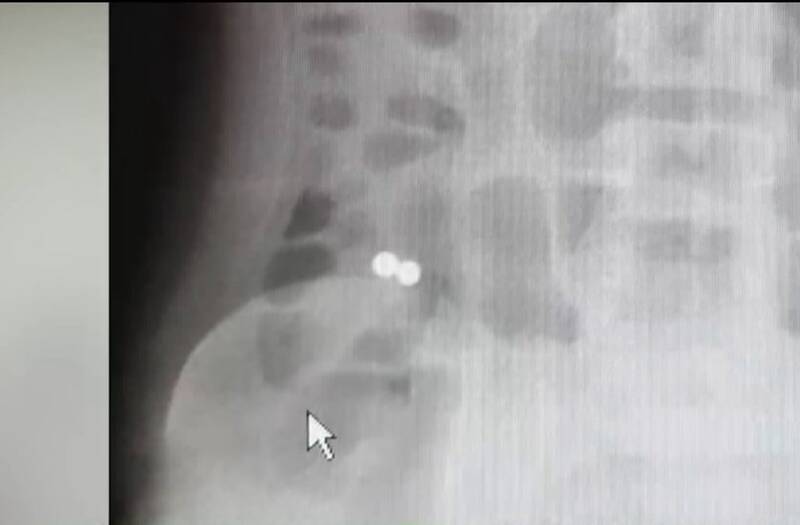 The two magnetic balls became lodged in the 11-year-old’s intestine. Halina went to Evanston Hospital immediately. Dr. Vincent Biank was part of the team treating her. If untreated, the magnetic balls can connect two pieces of tissue together, causing kinks and perforations. Halina was at the hospital five days and after two colonoscopies, the balls finally came out. “Since this happened, I’ve heard from a number of friends and parents, ‘My kid has them had no idea … I got my kid this for Christmas. And now we’re taking it out from under the tree,” Aaron says.